What if we have twice the number of successful long-term businesses in our economy? 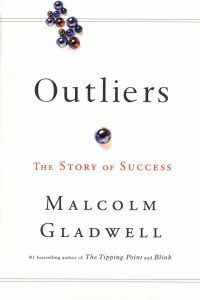 In The Outliers, Malcolm Gladwell sought to de-mystify the factors that led to great success in the lives of Bill Gates (Co-founder of Microsoft), Bill Joy (Father of Java and co-founder of Sun Microsystems), Steve Jobs (Co-founder of Apple), Eric Schmidt (Co-founder of Google), Joe Flom of law firm Skadden, Arps, Slate, Meagher and Flom LLP, one of the most successful corporate takeover law firms in the world, The Beatles, Julius Robert Oppenheimer, the father of the Atomic Bomb. While we might simply pass them off as geniuses, prodigies, and simply in a league of their own who made their own success, Malcolm Gladwell pointed out convincingly in the stories he so vividly tells, that these geniuses were actually ordinary people, whom with many external factors including the year and time they were born, where they were born, who their parents were, what their upbringing were, which schools they studied in, what they spent their time on, what opportunities they had, some stroke of luck, and serious hard work, or in their own eyes many hours of fun and play. He sought to understand why Asians are categorically good at Math and challenged the notion that there are “math people” and students who are just “not mathematically inclined”; linking the good Mathematics results of Asian societies Japan, Hong Kong, South Korea, Taiwan and Singapore to the very culture that was handed down from generations to generations, all the way from our ancestors’ work ethics from their rice paddy fields centuries ago. More importantly, he asked a meaningful question: “what if more people had the support and opportunities that these “geniuses” had?” What if Canada had two hockey leagues, one that starts in January and one that starts in June – Might the country have twice the number of Hockey superstars? What if education systems around the world emulate what the KIPPS system did in the most challenging neighbourhoods in the USA; to inculcate the “rice paddy” culture into non-Asian societies – Might we have more math “geniuses”, and might more people be uplifted from the vicious poverty cycle? We are deeply inspired by Malcolm Gladwell’s work, and ask similar questions – What if we could de-mystify how successful long-term businesses grow against all odds, and identify what were the character of their management team and the choices they made that led to such outperformances? Could we uplift the lives of employees, consumers, investors, and our families if we have twice the number of successful long-term businesses in our economy? Through increasing the number of successful long-term business, could entire countries’ balance sheet be more robust and hold their weight in full? Would human beings be encouraged to collectively add real value to society rather than trade opportunistically against fellow humans, all in the name of “creating value” for themselves?